The Rev. Dr. James Gertmenian was raised in Southern California and received degrees from Oberlin College (Ohio) and Union Theological Seminary (New York City). Ordained by the United Church of Christ, he served a rural parish in upstate New York (where he was a co-pastor with his wife), founded a new church development in Danbury, Connecticut, and led an historic parish in Weston, Connecticut before becoming Senior Minister of Plymouth Congregational Church in downtown Minneapolis, MN. In that role from 1996 until 2015, Gertmenian was heavily involved in combatting homelessness, and he was a co-founder of Beacon Interfaith Housing Collaborative which, by 2017 had built over $100 million in housing for low-income, disabled, and formerly homeless individuals and families. He co-chaired, with Minneapolis’ mayor, an 80-person commission to devise a 10-year plan for ending homelessness in Hennepin County, MN. Gertmenian also led his congregation to take an active role in efforts that contributed to the acceptance by Minnesota’s voters of marriage equality for LGBTQ people. He devoted himself to support of young, progressive clergy around the country, establishing an annual Emerging Leaders Institute held in Minnesota. He received the Lawrence Gibson Social Justice Award from the from Minnesota’s Joint Religious Legislative Coalition and the Interfaith Leadership Award from Temple Israel in Minneapolis. Rev. Gertmenian has received honorary Doctorates from United Theological Seminary of the Twin Cities and Piedmont College in Georgia. He is a hymn writer whose works appear in various denominational and independent hymnals and composed a choral anthem published by Mark Foster press. He is married to Susan Deborah King, a poet, teacher, and retreat leader. The two are parents to twin daughters, Emily, an elementary school teacher, wife, and mother in San Francisco and Enid, a psychotherapist in New York City. The family are summer residents of Great Cranberry Island, Maine, where Rev. Gertmenian is involved in providing affordable housing and supporting other civic groups. After retiring to Maine in 2015, Rev. Gertmenian joined Board of the BTS Center as a way to continue his support of progressive clergy and their ministries. He believes that The Center is uniquely positioned and equipped to encourage the kind of innovative faith communities that will serve America’s changing religious landscape. Also since coming to Maine, he has done work with Preble Street, a non-profit dealing with issues of homelessness, hunger, and poverty. In particular, he is helping to develop a Faith Advocacy Network which draws members of faith communities into direct advocacy in the legislative process. 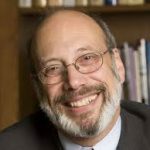 As of January, 2018, Gertmenian will serve on the Board of Faith in Public Life, a national strategy center for the faith community advancing faith in the public square as a powerful force for justice, compassion and the common good.